MBSR is an 8-week program that was developed at the University of Massachusetts Medical School. This program is aimed at helping participants learn how to manage the physical and psychological symptoms of stress related to psychological or medical stressors. 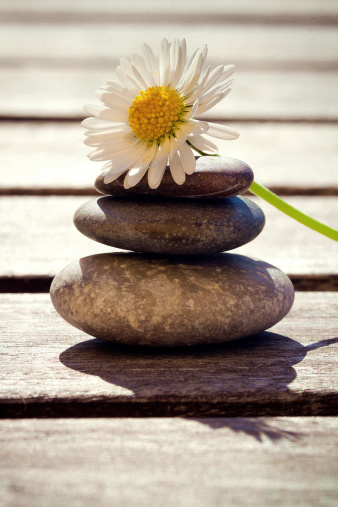 MBSR is a well-defined and systematic client-centered program that uses mindfulness tools and meditation to teach participants to live better and more adaptive lives. The anxious mind is always worrying about what might go wrong, or what might happen if…. or about unfounded fears and feelings of overwhelm. Someone with anxiety feels trapped by their anxious thoughts. The depressed mind feels sad, hopeless, wishing things to be different. The stressed mind feels pressured and sees life as if it was an Everest mountain to climb. The pain mind feels trapped in a body that is not healthy; fears eternal pain, dwells on possible solutions, or can feel tired and hopeless. MBSR is a program that teaches participants how to relate to and manage their personal pain and struggles in more effective and self-caring ways. MBSR is training in how to gain mastery over our minds so that we can weaken the power of anxious, depressive, obsessive, stressful, or torturous thoughts. MBSR teaches participants a series of mindfulness practices that invite more clarity and calm in the midst of life’s storms. Life is like the ocean, sometimes it is calm and sometimes it is stormy and aggressive. In MBSR we think of life as the ocean and of MBSR as giving you the tools to navigate life in a way that reduces stress and improves your overall quality of life. MBSR is a program within the behavioral medicine field. Achieve mastery of the thoughts and struggles that make your life feel unmanageable. Cost: $450 (note that Extended Health Plans may reimburse payments to a Registered Psychologist. Non-reimbursed psychologist receipts may be tax deductible ). Includes practice recordings. I am wondering when the next session starts, what days and, times the 2.5 hour and 6 hour sessions are. Also do you have any one on one sessions?